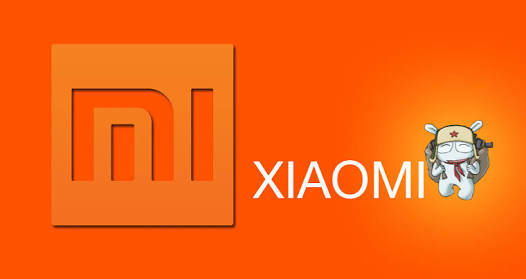 Some of the leaked information says that Xiaomi revealed its three smartphones which are Redmi 6 , Redmi 6 Pro and Redmi 6A and it is also expected that Xiaomi will launch these three devices on September 5, as we all know that Xiaomi always makes the best smartphones in the world, in last days xiaomi launched its product Redmi Note 5 Pro which was very superb and awesome phone which works in very great performance and the features & specifications are very good. So Now the company has decided to go with the some new devices which will be going to launch soon. Now to tell you all about these 3 upcoming phones, as we talk about the pricing of the Redmi 6 it’s expected price will be Rs 8,400 for the 3GB RAM / 32GB internal storage and Rs 10,500 for 4GB RAM / 64GB internal storage. On the other hand Redmi 6A is expected to be priced at Rs 6,300 for 2GB RAM / 16GB internal storage. Finally Redmi 6 Pro is expected to be priced at Rs 10,400 for 3GB RAM / 32GB internal storage & Rs 12,500 for 4GB RAM / 32GB internal storage and Rs 13,600 for 4GB RAM / 64 GB internal storage. If we talk about the features and specifications of these phones, Redmi 6 is a dual SIM Smartphone and runs MIUI 9 based on Android 8.1 Oreo. It sports 5.45-inch HD+ (720×1440 pixels) display with 18:9 aspect ratio, an octa-core 12nm Media Tek Hello P22 SoC; a dual Camera setup with 12MP primary sensor and 5MP secondary sensor, a 5MP front camera and also has 3000mAh battery and expandable memory up to 256GB. Redmi 6A has all the same features as same as Redmi 6 but there is something change in Redmi 6A which is, it has Quad-core 12nm MediaTek Helio A22 SoC and Single 13MP rear Camera with 5MP front Camera and all the remaining features are same as Redmi 6. In last Redmi 6 Pro is dual SIM smartphone runs MIUI 9 based on Android 8.1 Oreo. It’s spots 5.84-inch full HD display (1080×2280 pixels); an octa core snapdragon 625 SoC clocked up to 2GHz; it dual camera setup which is 12MP primary camera with 5MP secondary and 5MP front facing Camera, it has 4000mAh battery and with expandable memory up to 256GB via microSD card.